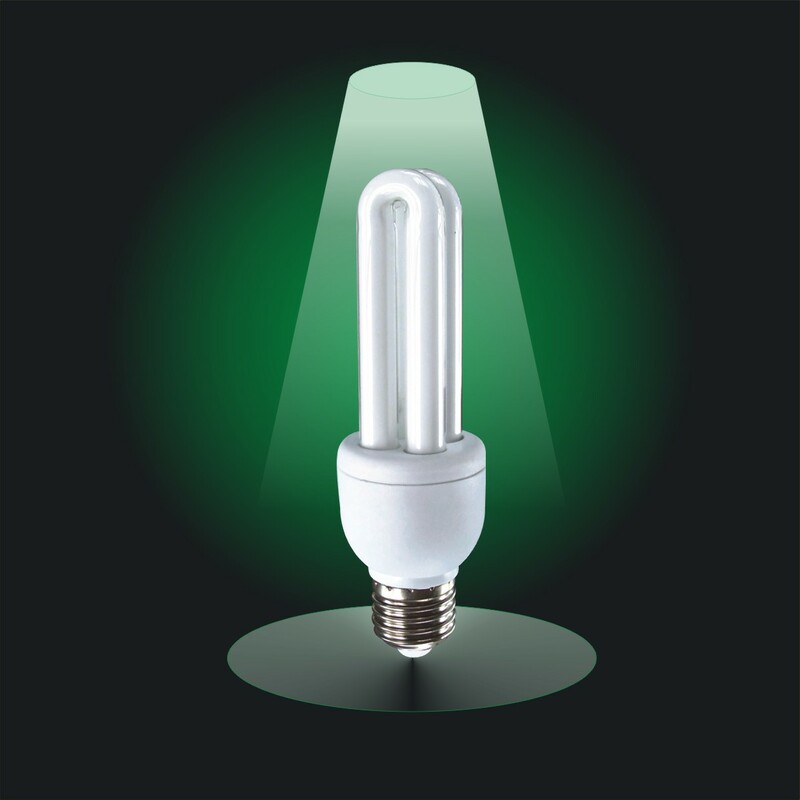 Compact Fluorescent Lamp was developed with aim of energy conservation. CFL requires a start up time to attain full brightness. The light colour is slightly greenish at power on which changes to blue white after the warm up period of a few minutes. This bluish white colour is due to the presence of Ultraviolet rays from the excited mercury vapour. The CFL has a resonant converter to generate high frequency AC to excite the mercury vapour filled inside the tube. The excited mercury atoms generate UV rays that produces fluorescence in the Phosphor coating of the tube. The phosphor coating then emits visible light with some UV fraction that gives bluish white colour to the light. Unlike ordinary bulb, CFL generates secondary light. The light is not directly from the filament, but from the phosphor coating. Actually this secondary light is not friendly for the eyes since the human eye is adapted for natural direct lights such as sunlight and light from flame. UV ray is also not good for the eyes. Low quality CFL generates large amount of UV rays. This can cause eye strain if the light is viewed long time. Voltage drop in the power line is known as Brown out since it causes the bulb to dim. Brown out is a serious condition which can cause poor performance of electrical or electronic equipments or it may permanently damage them. Voltage drop in the domestic power supply increases power consumption, especially in high current devices using motor and heating element. The increase in current consumption is meant for compensating the voltage loss. This is the reason why the Incandescent bulb becomes too hot in low voltage. Power consumption of the appliance and the supply voltage are related. As per the equation, I= W/V . Here I is the current consumed in Amperes, W the wattage of the appliance and V is the voltage in the domestic supply. For example, a Fridge rated 300 watts working in 230 volts AC, consumes 300 / 230 = 1.3 Amps current. If the same Fridge operates in 180 volts, its power consumption is 300/180 = 1.6 Amps. That is, an extra 0.3 ampere current is used when there is 50 volts drop in the power line. But if the appliance is a high current device like a 1000 watts heater, the extra current consumed will be large. That is why, the power companies advice to switch off high current devices during the peak hours in the evening if there is voltage drop. When the voltage is too low, the power companies introduce Load shedding which is known as Rolling Black Out.